Toronto's Most Awarded Voice Lessons In Downtown. Register Today For Singing, Piano, and Guitar Lessons. Experience our award-winning voice and music lessons! 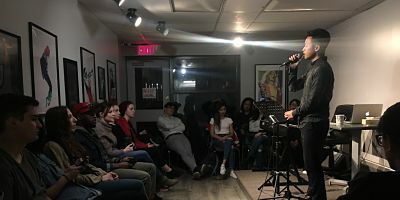 Our vocal school is world-renowned for providing the most complete, private contemporary vocal lessons in Canada, as well as some of the best vocal teachers in Toronto. We have searched for the best, most talented and professionally experienced instructors and are proud to feature over 15 of Toronto’s best vocal coaches with expertise in Pop, Rock, R&B, and Musical Theatre singing. With so many amazing voice teachers, we are sure that we have the best teacher fit for you! You’ll love the opportunity to discover and explore lessons with all of our amazing and fun teachers. 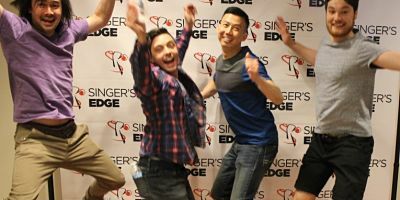 Our goal at Singer’s Edge downtown Toronto is to provide the best music lesson experience possible by instilling essential vocal skills along with creativity and confidence! 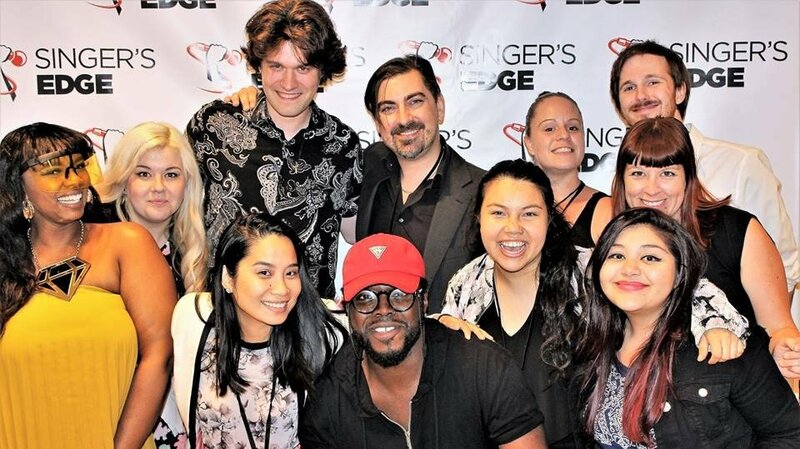 Singer’s Edge Music Academy is proud to be Toronto’s award-winning music school (voted Toronto’s Best Music school every year since 2014) with a focus towards popular vocal styles like rock singing, pop, soul/RnB, jazz, folk, or singer/songwriter. In addition to our private voice lessons in downtown Toronto, we also offer piano and guitar lessons, as well as a wide range of additional free programs for our students including free weekly group classes for performance skills, harmony singing, and songwriting. We also feature free performances in beautiful venues twice a year as well as photo days and more! And we offer all of this in ONE location! Our Downtown and Midtown Toronto music lesson locations are both easy to reach and are near public transportation, schools and your neighbourhood! While you’re researching the best music school for you, consider the benefits of becoming a Toronto Arts Academy student and find out why we are Toronto’s number one choice for music lessons! Our Curriculum in the only one that has been trusted by Award Winning singers and international schools. It is unique in Canada designed to help you discover your strengths, develop your own style, and reach your goals. Our program is designed for the efficient development of singing and playing contemporary music such as rock, pop, r&b, and folk/indie. Our curriculum is based on our own independently published books. Many music studio desks are staffed by the teacher/owner or more commonly an answering machine. We have three office team members who are available at the front desk to assist our clients quickly and professionally. All of our front desk staff have even taken lessons from our coaches as students, experienced amazing growth themselves, and so they can relate to your experience as a student and can better understand your needs. Because some of our lesson plans include FREE weekly group classes, joining our studio means you’ll get to meet other singers and musicians also interested in growing and developing their skills. It’s a great way to meet friends, learn skills and network with others. No other school offers this kind of frequent regular interaction and networking amidst it’s students for no additional cost. Our rooms are stocked with everything you need for music lessons, including amps, stereos, keyboards, pianos and more. Technology is also a big part of lessons at the Singer’s Edge and we have installed LED monitors in every classroom at both schools. The monitors can stream your content from any device such as phones, iPads, or laptops. By integrating technology such as teaching apps from the iTunes store, GarageBand, ProTools, you name it, we’re providing a cutting edge lesson experience in the Toronto area. We are the only school in Toronto that specializes in contemporary music. All of our teachers have either have university training in contemporary music or extensive, professional performance experience nationally or internationally. Many have worked closely with prominent internationally known artists such as The Weekend, Mariah Carey, Drake and more. In addition to their teaching credentials, our teachers have warm personalities, are extremely friendly and dedicated to teaching you the style of music that you want to learn in your music lessons. We believe that supplementing your private lessons with group education is important if you want to speed up your growth. No other school includes such a wide range of group classes included FREE with your private lessons. Along with private lessons in voice, piano and guitar, we also include group lessons in background singing, performance, songwriting, business and even group jamming! We are proud to have won the awards for Toronto’s best Music School in 2014 and 2015 by Top Choice and Consumers Choice. Our school has been featured in blogTO, Top Choice, Consumers Choice, Spectra Talent, Gibson Showroom, and NOW Toronto. Visit our testimonial page to see what our students are saying. Our Academy has a proven track record of offering quality music, guitar, voice, singing, and piano lessons in Toronto, Ontario year round. In May and December many of our students choose to perform in our biannual performances in a first class professional music venue and modern rock performances. For our students these recitals are free and unlike many schools in Toronto we do not charge recital participation or admission fees. You are encouraged to bring your family and friends to the show for free to share in the fun! We also have Toronto’s most established and recognized contemporary voice program for kids and teens. Due to its central location near the Gardner Expressway and St. Andrew station on the TTC, our school is convenient to all areas of Toronto in the hear of the Entertainment District at King and Spadina. Close to our school, you will find great shopping, dining and the quaint neighbourhood village of Toronto’s entertainment district and Queen St West. Our location is convenient to and we have many students from Downtown Toronto, Midtown Toronto, North York, Richmond Hill, Mississauga, and Scarborough. We offer music lessons seven days a week from early in the morning to late at night to accommodate your busy schedule. With over 3,000 square feet we have a nice lobby and a parent friendly waiting area in Toronto. Instead of waiting in a music retail store showroom, our clients enjoy a spacious, professional student lounge with comfortable chairs, Wi-Fi, reading materials, information about our instructors, magazines and water. The Academy does not require semester minimums for lessons. Every student here is on a month-to-month basis. If you are ready to start, you have nothing to lose as we only want students who truly want to be here and we will not commit you to a long term contract.